The Back Country Cuisine range of outdoor meals is probably the best known in Australia. These meals are stocked by the majority of outdoor stores and many people consider them the staple meal choice for outdoor activities. Back Country has a huge range of meal choices and many stores seem to select a ‘top ten’ so you are unlikely to find the full range in any one store. In addition to the large variety of single serves (entrée size/single person), the company also has twin serves although the single serve options don’t seem to have as large a variety at least as far as the stores I visit. Tim isn’t a big eater of fish so I was given the task of taste testing the Back Country Cuisine Smoked Fish Pie. I regularly eat fish, both fresh and packaged, but I was a little worried about this meal. It is VERY difficult to get home based packaged fish meals right so I wondered how a dehydrated fish meal for outdoor consumption would go. I tried really hard to like the Back Country Cuisine Smoked Fish Pie but I’m sorry to say I didn’t. With the exception of the bright green peas, the meal is mono-colour and looks unappetising. Its hard to tell the difference between the fish bits and what I presume is potato apart from the different consistency. The taste is fishy but bland although the peas tasted good – I’m pretty sure this is not the sole intention of the meal! 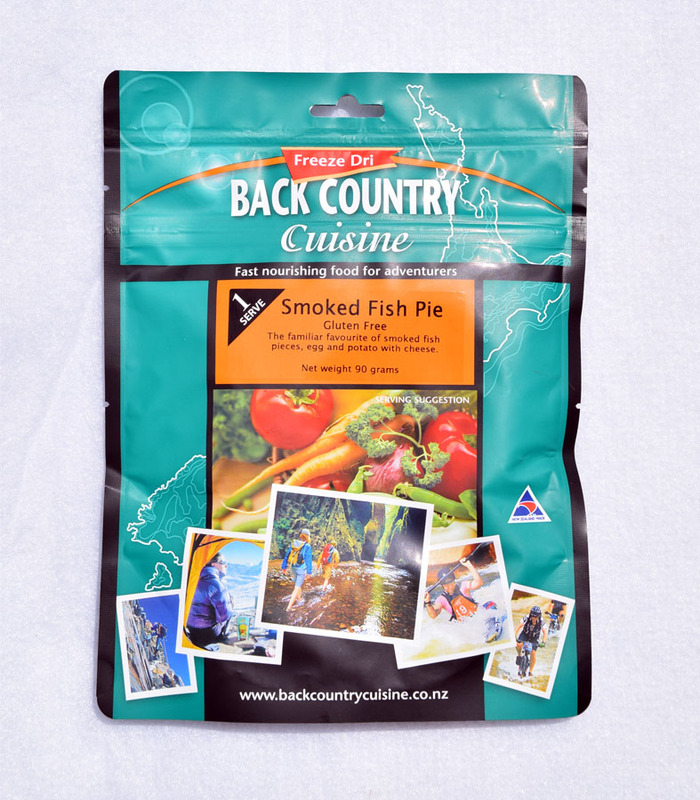 The Back Country Cuisine Smoked Fish Pie meal doesn’t taste good and has a lingering after taste that I struggled with. This is one of the few Back Country Cusine freeze dried meals that you need to add MORE water than the recommended amount. The single serve packet recommends you add 200 ml of water but the meal was still quite thick after ten minutes. I would suggest increasing the water to 220 ml and increasing the rehydration time to 12 minutes. 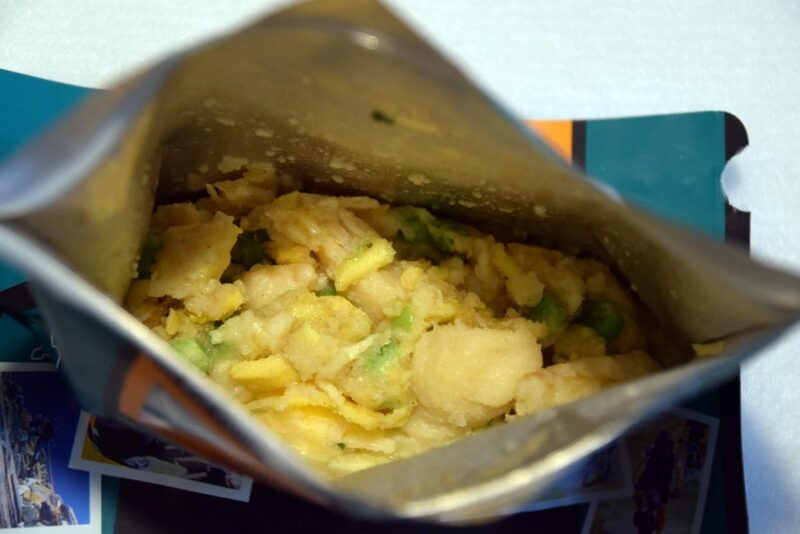 The Back Country Cuisine Smoked Fish Pie meal I tasted was in a single serve that appeared quite small after hydrating and this also lowered my ‘value for money’ rating. The normal price sits around the $15.95 mark for a twin serve pack which works out to be more cost effective than the single serves that usually cost around $10.95. Most of the larger chain stores offer member discounts or have regular sales so its worthwhile looking around. These products do have a long shelf life so you can stock up at the sales come in anticipation of an upcoming trip. The meal comes in a bag that is well designed and the bottom opens out to provide a flat base for those minimalists who want to leave the bowl at home. 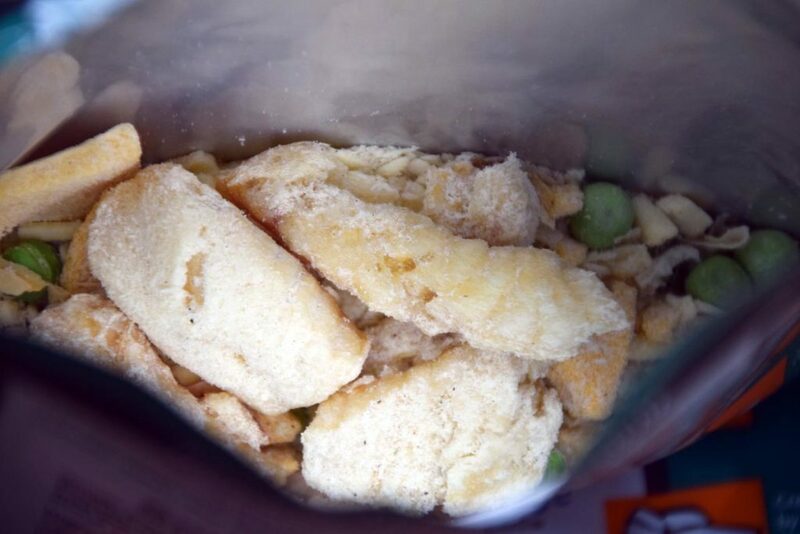 The option exists to tear the top off the bag to allow easy access to the food but you if you have a long handled spork/fork you won’t need to tear the bag. 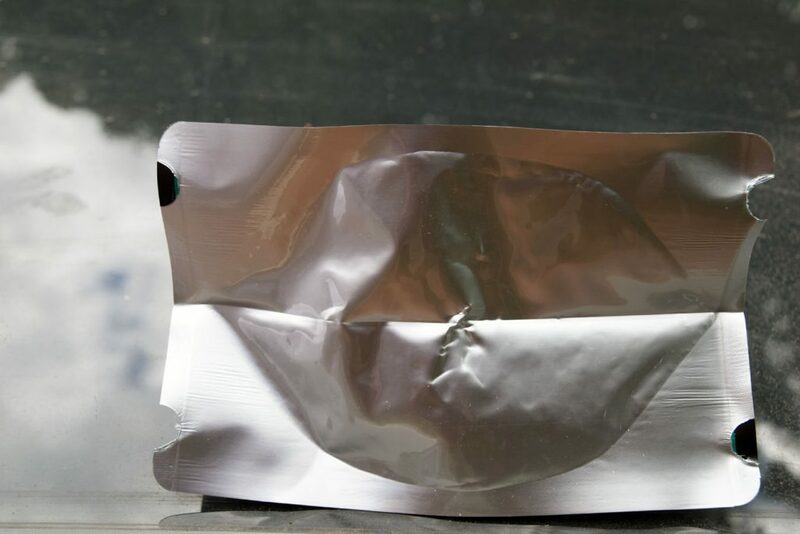 The other reason for not tearing the top off the bag is that you minimise any mess and after you’re done because you can re-zip the zip lock for clean disposal. So what is the final verdict? Give this one a miss! I won’t try the Back Country Cuisine Smoked Fish Pie again and it will never make our top 10. There are so many other better options! There is nothing to like about this the Back Country Cuisine Smoked Fish Pie! The Back Country Cuisine Smoked Fish Pie! Single serves can be a bit small after a couple of weeks on the trail. If you’re still keen after reading the review, you will find that you will struggle to find it. We purchased our meal from New Zealand and given our vie we are not surprised that we we had to go the the country of manufacture to find it. If you still feel like trying this meal after our review search New Zealand Camping stores online. Back Country Cuisine Smoked Fish Pie rehydrated and ready to eat; if you dare!